Airports Council International – North America has been working with Edge4Vets, a national training program for veterans, for the past few years in an effort to expand employment opportunities for veterans in U.S. airports. Ahead of the Memorial Day weekend, ARN’s Carol Ward connected with Kevin Burke about the trade group’s role in connecting veterans with airports. Ward: Why is connecting airports and veterans so important for the industry? Burke: It is important for Americans to remember those who gave the ultimate sacrifice in service to our country. We want to honor those who served by ensuring they have a place in our communities after they have served in the armed forces. That’s why ACI-NA has partnered with Edge4Vets, a national training program for veterans developed by the Human Resiliency Institute at Fordham University, to prepare and connect veterans to jobs that can lead to airport careers throughout the United States and Canada. Ward: How does the Edge4Vets program work? 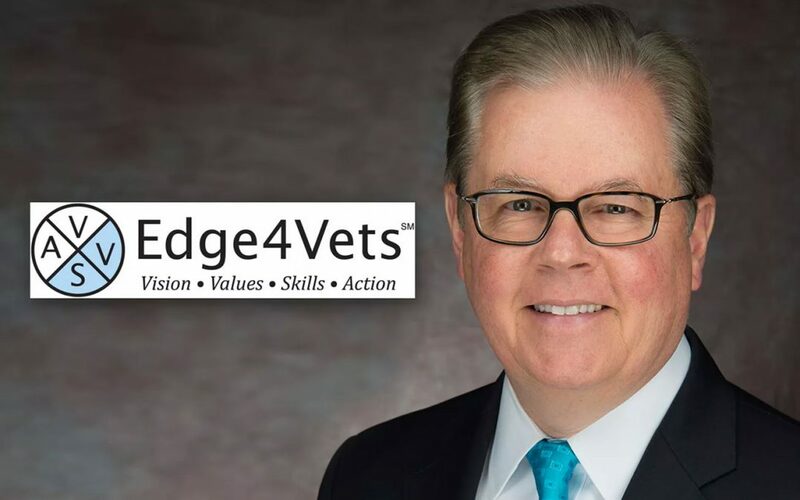 Burke: The “Edge4Vets at Airports” program creates an employer network of airport stakeholders – airline carriers, concessionaires and service companies – who support and host Edge4Vets training workshops. Through the connections made at these workshops, participating veterans are offered airport industry job opportunities after completing their training. Ward: In which airports has the program been rolled out, and what further growth are you anticipating? Burke: Edge4Vets introduced the first “Edge4Vets at Airports” program at Miami International Airport (MIA) in 2015. 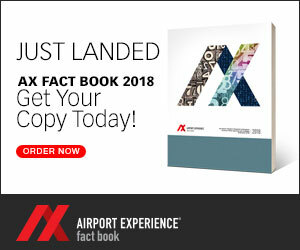 Los Angeles World Airports followed by offering a pilot program at Los Angeles International Airport (LAX) in 2017. The program at LAWA continues to grow thanks to the success of the pilot program at LAX. Business advisors from ACI-NA’s World Business Partners committee have been working with Edge4Vets to enlist private sector sponsors to help expand the program to other airports in California. This year, Houston Airport Systems started an “Edge4Vets at Airports” program for their three airports – George Bush Intercontinental Airport (IAH), William P. Hobby Airport (HOU) and Ellington Airport (EFD). 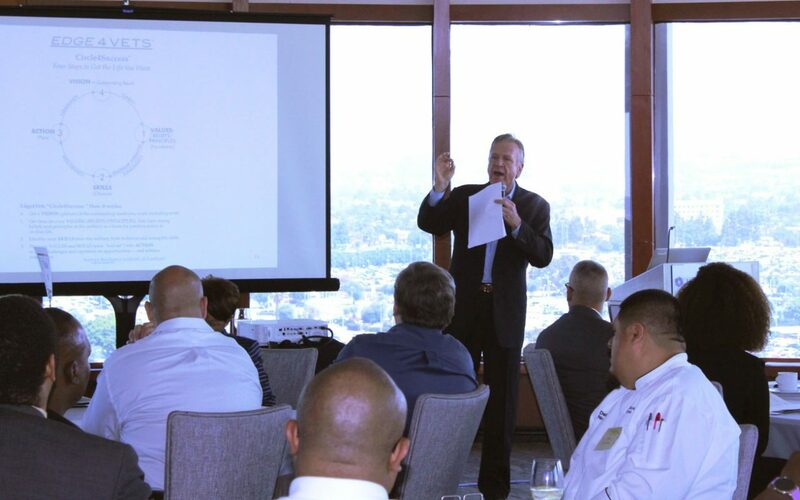 The program enlisted support from Houston’s top businesses like Freeport LNG, AIG and J.W. Gallagher. With the program growing nationally, other airports have begun planning to bring Edge4Vets to their areas, including Cincinnati/Northern Kentucky International Airport (CVG), Greenville–Spartanburg International Airport (GSP), and Jackson–Medgar Wiley Evers Airport (JAN). The growth of the Edge4Vets program across the United States – and soon to grow in Canada – is just one way our airport members use their strong position in the community to give back. With more airports set to come on board later this year, the veterans in our communities can count on airports to help them find their place in civilian life. Our industry is made stronger because of it. Tom Murphy, leader of Edge4Vets, explains the program at an event for LAX.